to reach attendees at both Mobile World Congress Barcelona and Shanghai. 15 second TV commercial broadcast 1 x per hour during daytime broadcast and minimum of 3 x overnight*. Client to provide 15 second TV commercial to the production specification provided by GSMA. 10 second TV commercial produced by the Mobile World Live team on your behalf. If you don’t have a TV commercial already then simply supply us your logo, strapline and a short brief and we will produce an animated TV commercial complete with background music. The commercial will be broadcast 1 x per hour during daytime broadcast and minimum of 3 x overnight*. 30 second TV commercial broadcast 1 x per hour during daytime broadcast and minimum of 3 x overnight*. 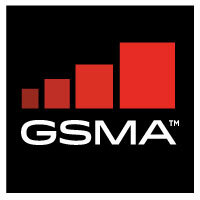 Client to provide 30 second TV commercial to the production specification provided by GSMA.